Bengaluru Bulls overtook Tamil Thalaivas in Zone B and are now are fifth with 39 points from 19 matches. 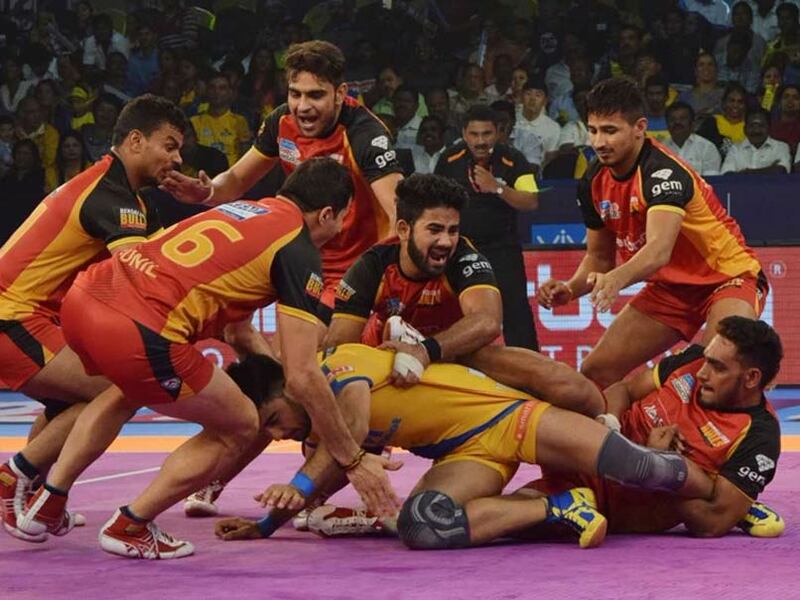 Bengaluru Bulls came out on top in the battle of bottom placed teams in Zone B, beating Tamil Thalaivas 45-35 in the Pro Kabaddi League on Thursday. Rohit Kumar led the charge for Bulls and scored 17 points. 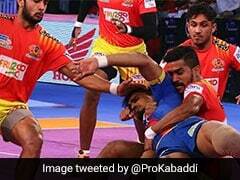 It was yet another disappointing game for Thalaivas as they crashed to their 13th defeat of the season. Ajay Thakur scored 15 raid points for Tamil Thalaivas but was unable to inspire his team. It was the Bulls' defence that proved to be the difference as both teams scored equal amount of raid points. Bengaluru Bulls overtook Tamil Thalaivas in Zone B and are now are fifth with 39 points from 19 matches. Tamil Thalaivas are bottom of the table with 35 points from 19 matches. Rohit Kumar scored two raid points in two minutes to give Bengaluru Bulls 3-1 lead. Ajay Thakur scored a raid in the third minute as Tamil Thalaivas trailed 2-3. Bengaluru Bulls inflicted an all out in the 18th minute as they went into half time leading 19-10. They began the second half emphatically as they inflicted an all out in the 23rd minute to lead 27-10. In the next few minutes, Bengaluru Bulls piled more misery on Thalaivas to lead 32-13 in the 27th minute. In the first nine minutes of the second half, Bulls scored 18 points compared to Thalaivas' six. Ajay Thakur then sprung into action and scored four raid points in two minutes as Tamil Thalaivas trailed 21-38 in the 32nd minute.